This Classroom Pack explores the fascinating field and timeless art of coiling. Children from age 8 through adults will enjoy this decorative, functional, and highly creative craft. The kit includes enough material to make over 30 coiled baskets, each 4" high with a 5" top diameter. Trays, coasters, and decorations can also be made from this pack. 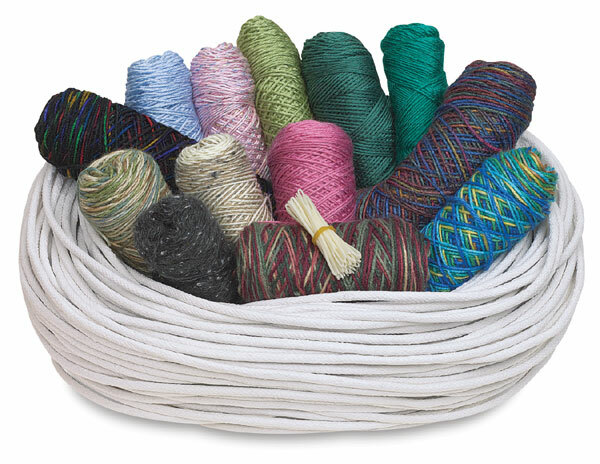 Choose from 1800 yards (48 oz) of assorted colors of yarn in a variety of textures. The kit also includes 360 ft (about 110 meters) of ¼" diameter coiling core, 30 blunt large eye needles, and easy-to-follow instructions complete with diagrams.